WIN SBD for simply having fun guessing a fellow Steemians Username! 10 + SBD paid out everyweek! I've been wanting to do a contest on Steemit for quite some time. A lot of what I write about is more homesteading and spiritual in nature, so I wanted to shake things up a bit and start running some of my own contests. If you actually like the content that I've been sharing, don't worry, I'm still going to be doing that. This whole contest notion is in addition to, not in replace of, my usual content. Make a bunch of sweet crypto for those who choose to participate! Have you wondered what’s the meaning behind some of your fellow Steemians usernames? I know I have. Some of the names out there are so creative and intriguing, yet I've never taken the time to find out what they mean. I've now just begun to communicate with my fellow Steemians on Discord, but with such little time and so many neat people, I needed a way to speed up the process. This contest will hopefully achieve that goal. 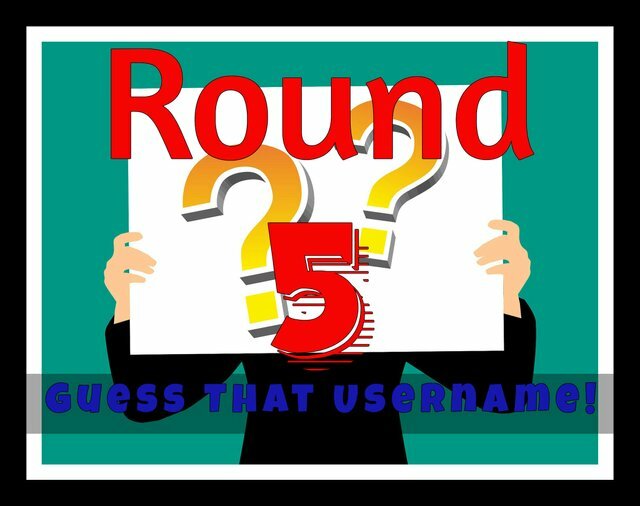 Most of us didn’t have a hand in choosing our RLN (Real Life Names) so when we’re given the opportunity to create usernames online, what drives us to choose what we’ve chosen? Our usernames are our own personal chosen signatures to the world. What do they all mean? Inquiring minds want to know! As a seeker of truth, I want to know what is the mystery of the origins to my fellow Steemians usernames. Through this contest I hope to shed some light on our more obscure and bizarre Steemians. This contest will tell us a lot about them and about ourselves through our responses and interactions. I will nominate and then interview a fellow Steemian each week as to how they came up with their username. Contestants will give their best explanation to the meaning behind the mystery of that username in the comment section of the contest post. You can choose to be serious, or just be creative and funny, your choice. Contestants will upvote (with a minimum 25% upvote power) that weeks contests post. Resteeming is not necessary, but much appreciated. Maximum 2 entries per Steemian. The most creative answer will be determined by me, yours truly. In case of a tie (that being a same accurate or creative answer). The winner will be determined by who commented first. If you contact or have had contact with the nominated user and ascertained the meaning of their username, you are resolutely disqualified. If the nominated user is a Real Life Friend (RLF) you should be ashamed of yourself for associating with such riff-raff and you are soundly disqualified by the guilt of your association. The whole point of this contest is to meet new people and learn new things. It’s not just about winning SBD. You are on the honor system when participating. So, be honorable and don’t let your inside knowledge drive you crazy for filthy lucre. Each winner will receive 25% of this posts payout in SBD! The nominated username owner will also receive 25% of this post payout. PLUS, each winner will receive 5 SBD from me! ALSO: If you nominate a username and I use it in an upcoming round, I will reward your participation with 1 SBD! The contest will begin each Monday with the winners being announced via the interview post I will put out the following Sunday. It is my hope that through this fun game we will all get a better chance to know each other, especially some of the more humble members of Steemit. Round 5's Nominee is @moon32walker! Why? Because @heartsky nominated him/her in round 3. Thanks @heartsky for taking the time to nominate! @moon32walker please be so kind as to send me your background story and what contestant you think were the closest to the actual meaning sometime before this upcoming Sunday afternoon. You can email me @ bluerisbetter@gmail.com. Thanks! My guess is that he is Michael Jackson's biggest fan and moon walks wherever he goes. And 32 is obviously because he was 32 years old when he made his Steemit account. I am guessing that @moon32walker is a badass crypto dude. Moon because you want your cryptos to moon and very sooon. Probably to book the first SpaceX commercial flight to be able to be one of the few people to actually walk on the moon up until now. Good luck with that and I'll see you there. Do you prefer window or aisle seat? I'm fairly positive that moon32walker has a more mysterious meaning altogether. You see, what happened was one day while moonwalker was smoking a large joint behind the school, (the 32nd of February if my facts are right), He pulled a bit too hard and pulled a whitey. When he finally came too it was pitch dark and all that he could see was the moon overhead. Too stoned to move, he lay there for the whole night until found the next morning. In punishment he was set to write 5000 lines but due to his stoned state could only manage to write moon32walker for four hours straight and the name has stuck ever since. Two Michael Jackson connection guesses so far. Just goes to show you how influential the King of Pop was to our generation when you hear any variation of "moonwalk" and you think Michael instead of Armstrong. Lol. -He is a fan of Michael Jackson. -He is a moonwalker, a person that has a heart full of love. He likes spreading love to each and everyone. Here's my guess for @moon32walker 😊 he choose that username because he likes science & astronomy , the heavenly body that he likes the most is the moon 🌛🌕🌜, as what we can see in his profile picture. And i think he wants to experience to be in the moon and walk there, and also like online games in space maybe he is in the character of an astronomer who will conquer in the moon that's for the word @walker and 32 is his age 😊 or his favorite number. And it might be also he likes to do the moonwalk 😊. Have a great day to all of us! 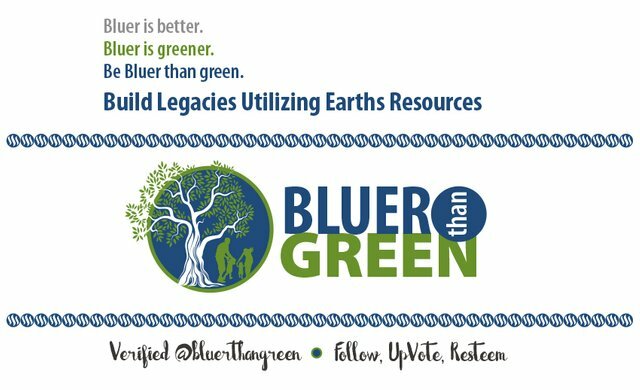 @bluerthangreen thanks for the interesting fun contest! How about the number was their basketball number and they were told they could hang in the air like a moon walker when they jumped! And if you reverse 32 you have a certain number of another air walker! My second guess... michael jackson fanatic! 32 is his age when he gets married. I guess he is into the study of heavenly bodies and that number 32 is either the years he want to spend in moon, and I guess his favorite moons are Phobos and Deimos. Summation: He wants to walk and live in either Phobos or Deimos for 32 years? @bluerthangreen thanks for recognizing it. The time you posted and asked if there are usernames we are curious of, i scrolled on your profile for the usernames who are following you, i like Moon,hehehe that's why i got interested to know about his username. The usernames don't have to be just from people I'm following. There are hundreds of thousands of Steemians out there. The person was born during the height of the Great Depression in 1932 and his name in real life is Neil Armstrong, the first human to walk on the moon. The person believes that Steem will go to the moon in 32 days. Have me back again in here.. well my guess for @moon32walker is that he/she has passion for heavenly bodies and love seeing it's beauty and the moon catches his/her heart that he/she dream of being there at the moon walking (a frustrated astronaut) and since 32 is out of the calendar I guess it is her/his age by this time or last year when started here in steemit. Or maybe he/she dances well like he/she can do moonwalk dance like being at the top of the moon floating and enjoying there. And one more thing maybe he/she started the steem to the moon aims here in steemit by being inspired with the moons beauty. I bet this guy listens to a lot of Kid Cudi and his favorite number throughout high school sports was 32. Boom. Or for my second guess.. One of his favorite hobbies is peering thru a telescope at night, after smoking a joint, and envisioning himself walking on the surface of the moon. Moonwalker32 lives in an alternate galaxy where ppl don't sleepwalk, they moonwalk.